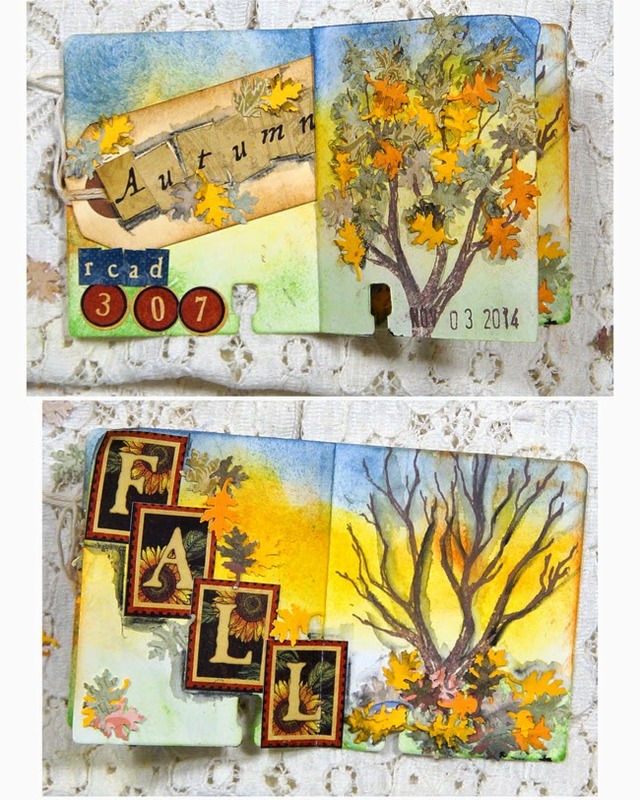 This rolodex card was inspired by the trees in the front yard. One day the were all on the tree in beautiful Autumn colors. The next day they were on the grown in a pile of color. I had fun making this card. I used a Raisin Boat stamp set called Foreground Forest and a tiny leaf punch. The letters and numbers are Graphic 45 stickers.